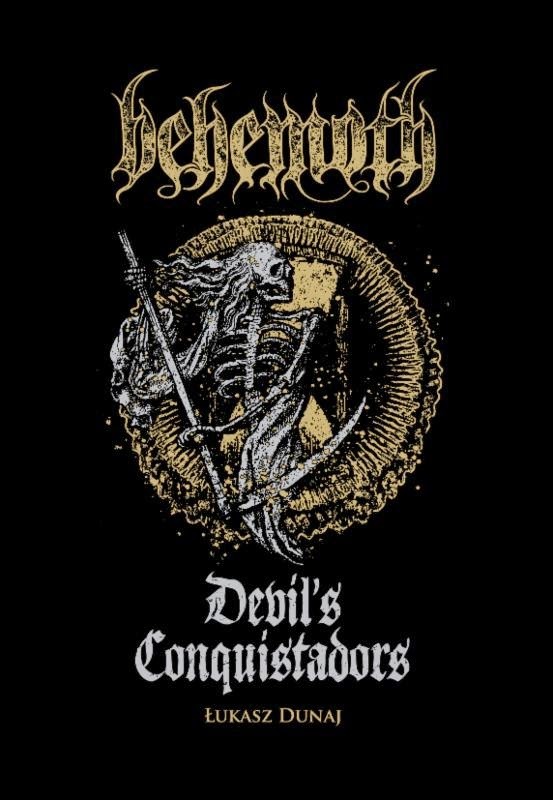 Next week, Metal Blade Records will unleash Behemoth: Devil's Conquistadors. A definitive BEHEMOTH biography penned by Łukasz Dunaj, the stunning 490-page, hardcover tome takes an in-depth look at the history of the events that materially influenced the band, their music, their ultimate rise to the upper echelon of metal and becoming a household name in their native homeland of Poland. In addition to the author's narrative, the book includes quotes and anecdotes from current and former BEHEMOTH members as well as interviews with Tomas Krajewski, Rob Darken, Graal, Havok, old photos of the band, flyers, lyric sheets and so much more. In the foreword by Krzysztof Azarewicz (Polish poet, writer, occultist and longtime lyric co-writer): "If, as a cultural anthropologist, I were to point to a single cosmic force which BEHEMOTH's music expresses, I would name it not Satan but Dionysus. A deity that represents not only the intoxicating influence of cosmic energies and earthly benefits, but also their benevolent healing properties. A deity of strength and pride. A deity of creative might." In advance of its release, today Revolver Magazine offers up an exclusive excerpt from the book where vocalist/guitarist Nergal recounts his early grade and high school years, his increasing interest in extreme music and his growing skepticism of Catholicism. Check it out at THIS LOCATION. In related news, BEHEMOTH is currently damning stages throughout North America on a mammoth co-headlining tour with legendary death metal practitioners/labelmates, Cannibal Corpse. 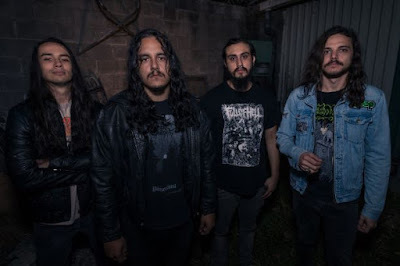 The month-long takeover continues to march its way across the country and will trample through nearly three-dozen cities upon its conclusion on March 7th in Ft. Lauderdale, Florida. Support comes from two of Sweden's finest metal exports: Aeon and Tribulation. Reports The Dallas Observer of the band's set, "BEHEMOTH's credo is the power of the will, and it completely permeates their live show... On a starkly lit stage filled with cast-iron ritualistic symbols, vocalist and guitarist Nergal lurched around with the ease of a seasoned performer. He held the audience in his hand, and his performance alone made it plain why BEHEMOTH's live show is so renowned." Behemoth: Devil's Conquistadors will be released via Metal Blade Records on February 24th, 2015. 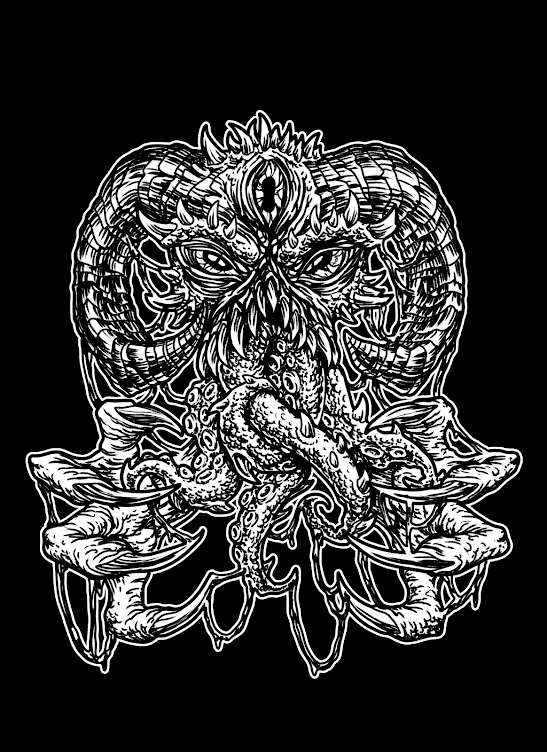 Preorders are available now at metalblade.com/behemoth where you'll find a special bundle option which includes an exclusive shirt available ONLY with the preorder.